Cite this article as: Özpek A, Kir G, Tolan HK, Yucel M, Tekesin K, Bas G, et al. Thyroid Paraganglioma: An Extremely Rare Tumor of the Thyroid. Ann Clin Case Rep. 2016; 1: 1188. Background: Paraganglioma originates from the para-ganglionic system which is mostly located in the adrenal gland medulla is a rare condition seen in the thyroid gland accounting for the 0.1% of all the thyroid malignancies. Case Presentation: A 67 years old female patient was admitted to our out-patient clinic with a swelling around the neck and an unexplained chronic cough. The ultrasound (US) revealed a 33 x 20 mm hypoechoic nodule on the right lobe of the thyroid gland without any cervical lymph node enlargement. Fine Needle Aspiration Biopsy (FNAB) was performed from the dominant nodule with the guidance of US. In the cytopathology report there was a suspicion of neuro-endocrine tumor. In the operation the nodule was found to be fixed to the adjacent trachea and a Total Thyroidectomy was performed to the patient. Finally, in the histopathology report the diagnosis was Thyroid Paraganglioma (TP). Screening of the patient 29 months after the operation and no metastasis or local recurrences were seen in the ultrasound and PET scan (F-18 FDG). Tests performed for the detection of catecholamine secretion were found to be in normal limits. Conclusion: TP must be considered in differential diagnosis of the neuroendocrine tumors of the thyroid. The main difficulty is in the differential diagnosis with the Medullary Thyroid Carcinoma (MTC). The immunohistochemical stains applied has a major role in the differential diagnosis. The long term post-operative follow up of these patients by the imaging modalities and the catecholamine levels is recommended. Paraganglioma in thyroid is a rare condition which has a neuro-endocrine origin. Paragangliomas develop from the para-ganglionic system which is mostly located in the adrenal gland medulla, but also distributed all over the body. They are more commonly seen in head and neck regions of the body and tumors of this region [1,2]. Thyroid Paraganglioma (TP) accounts for 0.1% of all the thyroid neoplasms  and between years 1974 and 2013 only about 35 TP cases are reported in the literature [4,5]. They have a local invasive behaviour and may invade the neighbouring structures. The local aggressive resection will achieve a prolonged disease free survival of the patients . Here we present a case that had a suspicious Fine Needle Aspiration Biopsy (FNAB) revealing a neuro-endocrine tumor. A 67 years old female patient was admitted to our Endocrine Surgery out-patient clinic with a swelling around the neck and an unexplained chronic cough. The physical examination revealed a palpable mass at the right lobe of the thyroid gland without any palpable cervical lymph nodes. All the laboratory tests including the thyroid hormones were normal. The ultrasound (US) revealed a 33 x 20 mm hypoechoic nodule on the right lobe of the thyroid gland without any cervical lymph node enlargement. There were some other nodules with a variety of dimensions on the left lobe suggesting a multinodular goitre. FNAB was performed from the dominant nodule with the guidance of US. The FNAB was efficient with enough amount of glands. In the cytopathology report there was a suspicion of neuroendocrine tumor.These findings were explained to the patient, her consent was taken and a Total Thyroidectomy (TT) was planned due to suspicious FNAB report and multinoduler goitre. In the operation the nodule was found to be fixed to the adjacent trachea. During the dissection on the trachea of the right thyroid lobe, a laceration of the trachea happened. Perioperative Ear Nose Throat (ENT) consultation was done and the defect was primarily repaired by the surgical team. Both recurrent nerves were seen and preserved and TT was completed. In the final histopathology report; grossly the tumor was found to be emerging from the thyroid gland. It was ill defined. On the cut section, it was red-brown in color and soft in consistency, size was 3.0 x 2.5 x 2.0 cm. Histologic sections were prepared from routinely fixed paraffinembedded tissue, cut at 3 to 4μm. Sections for light microscopy were stained with H&E. Sections were stained for immunohistochemical studies on an automated immunostainer (Ventana ES, Ventana Medical Systems, Tucson, AZ) using the biotin-avidin tecnique. Microscopically the tumor was partly encapsulated and showed focal extension into the adjacent thyroid tissues. Tumor cells were arranged in Zellballen, trabecular or solid pattern of growth (Figure 1). Tumor cells had round, polyhedral, or spindle shapes, with a moderate amount of granular, eosinophilic, and amphophilic cytoplasm. Nuclei were round to ovoid with finely granular nuclear chromatin. Mitotic figures were occasionally seen. Foci of haemorrhage were common. Tumor was positive for chromogranin A and synaptophysin and negative for TTF-1, calcitonin, CEA and Pancytokeratin (Figure 2). S-100 staining demonsrated the presence of sustantacular cells at the periphery of tumor nests. The pathologic diagnose was thyroid paraganglioma (TP). Patient was discharged on postoperative day two. Later on that developed wound infection and apse formation at day 7 postoperatively was treated with drainage and dressing of wound in our out-patient clinic. Screening of the patient 29 months after the surgery was performed and no metastasis or local recurrences were seen in the ultrasound and PET scan (F-18 FDG). Tests performed for the detection of catecholamine secretion; serum and 24 hours urine adrenaline, noradrenaline, dopamine, metanephrine, normetanephrine, vanyl mandelic acid, 5 HIAA were found to be in normal limits. The thyroglobuline and anti-thyroglobuline levels were 1,45 ng/mL(1,60- 59,9) and <1,0 IU/mL(0-4) respectively. The patient is still being followed up in 6 months periods and using 100 mcg./day L-thyroxin PO. Cells arranged in nests (H&E, x400). Tumor cells were positive for synaptophysin. 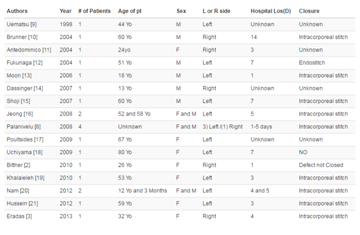 Table 1: Immunoprofiles of thyroid paraganglioma and thyroid medullary carcinoma. Immunoprofiles of thyroid paraganglioma and thyroid medullary carcinoma. Although the TP accounts for the 0.1 % of all the thyroid neoplasms, this tumor must be remembered in the differential diagnosis of the thyroid cancers . The FNAB cannot be diagnostic in all cases preoperatively but sometimes like in our case may give an idea about the suspicion of a TP. Generally final pathology reports after the resection of the tumor will give the definitive diagnosis. For the accurate diagnosis of the pheochromocytomas and paragangliomas, both pathologists and the clinicians must communicate properly. The importance of this multidisciplinary approach has been popularized in recent studies. Also an algorithm has been designed for the diagnosis of these cases . The paragangliomas can rarely be diagnosed by the radiologic investigations and even diagnosis is difficult after the FNAB of the nodule . They can be easily be confused with the other thyroid malignancies. The diagnose frequently cannot be made during the surgery with frozen sections and the differential diagnosis includes primarily the medullary thyroid cancer and the other types of thyroid cancers. Only 1 of the frozen sections performed in 22 patients made the paraganglioma diagnosis. In 10 of these cases diagnosis of medullary thyroid carcinoma and in 3 of the cases follicular carcinoma diagnosis were made by the frozen section [8,9]. The immunohistochemical stains applied has a major role in the differential diagnosis [10,12-14]. The Chromogranin A, NSE, Synaptophysin and S-100 will demonstrate the staining around the Sustantacular cells. The S-100 staining however is not to specific for the paragangliomas. It can be seen in the Medullary Thyroid Cancer (MTC) too. Thus makes the diagnosis complex . In this case, paraganglioma presented as a mass located within the thyroid gland. When present in such location, the main differential diagnosis was MTC. On histologic examination, TP and MTC may show similar microscopic features, with nesting. The co-expression of neuroendocrine markers makes the distinction far more complicated. MTC originates in the parafollicular C cells of the thyroid gland. Therefore, MTC is characterized by positive staining with Calcitonin. The positivity of epithelial markers and lack of S-100 positive sustantecular cells also facilitate the differential diagnosis (Table 1) [10,12-14]. They have a high tendency to invade (in two out of three cases) adjacent structures like; trachea, recurrent nerves and vascular structures. The extensive resection is generally enough for the treatment of these patients . The tumor was strictly attached to the tracheal cartilages but any tracheal resection was not performed in our patient. The genetic mutations are reported in about %10 of the paragangliomas. It is recommended to screen the patients for the succinate dehydrogenase B (SDHB), C (SDHC), D (SDHD) or SDH assembly factor 2 (SDHAF2) gene mutations. Especially it is known that the SDHB mutation is important in diagnosing the malignant paraganglioma and pheochromocytoma [8,9]. We did not perform a genetic screening. In the literature there is no reported case of metastatic or catecholamine producing thyroid paraganglioma . But still it is advised to follow up those patients for the risk of metastasis and catecholamine production . Screening of the patient 29 months after the surgery was performed and no metastasis or local recurrences were seen in the ultrasound and PET scan (F-18 FDG). Serum and 24 hours urine tests were normal for the catecholamine and degradation products. TP must be considered in differential diagnosis of the neuroendocrine tumors of the thyroid. FNAB is helpful but not always diagnostic for a neuroendocrine tumor. Generally they are local invasive to the adjacent structures. Extensive resection and close follow up is the treatment of choice because their malignancy potential is still not exactly known. The long term post-operative follow up of these patients by the imaging modalities and the catecholamine levels is recommended. González Poggioli N, López Amado M, Pimentel MT. Paraganglioma of the thyroid gland: a rare entity. Endocr Pathol. 2009; 20: 62-65. Lack EE, Cubilla AL, Woodruff JM. Paragangliomas of the head and neck region. A pathologic study of tumors from 71 patients. Hum Pathol. 1979; 10: 191–218. Haegert DG, Wang NS, Farrer PA, Seemayer TA, Thelmo W. Nonchromaffin paragangliomatosis manifesting as a cold thyroid nodule. Am J Clin. Pathol. 1974; 61: 561–570. Phitayakorn R, Faquin W, Wei N, Barbesino G, Stephen AE. Thyroidassociated paragangliomas. Thyroid. 2011; 21: 725-733. Calò PG, Lai ML, Guaitoli E, Pisano G, Favoriti P, Nicolosi A, et al. Diffuculties in the diagnosis of thyroid paraganglioma: a clinical case. Clin Ter. 2013; 184: 35-39. Mete O, Tischler AS, de Krijger R, McNicol AM, Eisenhofer G, Pacak K, et al. Protocol for the examination of specimens from patients with pheochromocytomas and extra-adrenal paragangliomas. Arch Pathol Lab Med. 2014; 138: 182-188. Kafil Akhtar, Prasenjit Sen Ray, S Shamhsad Ahmad, Rana K Sherwani. Paraganglioma of the thyroid gland: cytologists' enigma. BMJ Case Rep. 2013; 22. Bao-Hua Yu, Wei-Qi Sheng, Jian Wang. Primary paraganglioma of thyroid gland: A clinicopathologic and immunohistochemical analysis of three cases with a review of the literature. Head and Neck Pathol. 2013; 7: 373-380. Stefan Costinean, Veronica Balatti, Arianna Bottoni, Mathew Old, Carlo Croce, Paul E. Wakely. Primary intrathyroideal paraganglioma: histopathology and novel molecular alterations. Hum Pathol. 2012; 43: 2371-2375. Erem C, Kocak M, Nuhoglu İ, Cobanoglu U, Ucuncu O, Okatan BK, et al. Primary thyroid paraganglioma presenting with double thyroid nodule: a case report. Endocrine. 2009; 36: 368-371. Armstrong MJ, Chiosea SI, Carty SE, Linwah Y. Thyroid paragangliomas are locally aggressive. Thyroid. 2012; 22: 88–93. Yano Y, Nagahama M, Sugino K, Ito K, Kameyama K, Ito K. Paranglioma of the thyroid: Report a male case with ultrasonographic imagings, cytologic, histologic, and immunohistochemical features. Thyroid. 2007; 17: 575-578. Esmeralda Castelblanco, Pilar Gallel, Susana Ros, Sonia Gatius, Joan Valls, Aguirre A. De-Cubas, et al. Thyroid paraganglioma. Report of 3 cases and description of an immunohistochemical profile useful in the differantial diagnosis with medullary thyroid carcinoma, based on complementary DNA array results. Hum Pathol. 2012: 43; 1103-1112. Bockhorn M, Sheu SY, Frilling A, Molmenti E, Schmid KW, Broelsch CE. Paraganglioma-like medullary thyroid carcinoma: a rare entity. Thyroid. 2005; 15: 1363-1367.